Birthdays are fun around Rustici Software. We all get ice cream- and not just a scoop from a big bucket of vanilla or chocolate. Each person gets to order their very own combination from Cold Stone Creamery (shameless product placement for free ice cream). Given the choice, we each end up with a cup custom made just for each of us. Whether it’s Mike’s Cookie Doughn’t You Want Some™ with Cake Batter ice cream, or Jena’s choice (which usually entails her picking out some of the toppings she ordered), it’s a personalized cup that has the flavors and toppings for each taste. We like to offer the same choices to our customers too. We understand that one platform does not suit everyone. That’s why we built many SCORM Cloud integrations- to meet different tastes and needs. Some flavors we offer include WordPress, Google Apps, Moodle, and now Drupal. 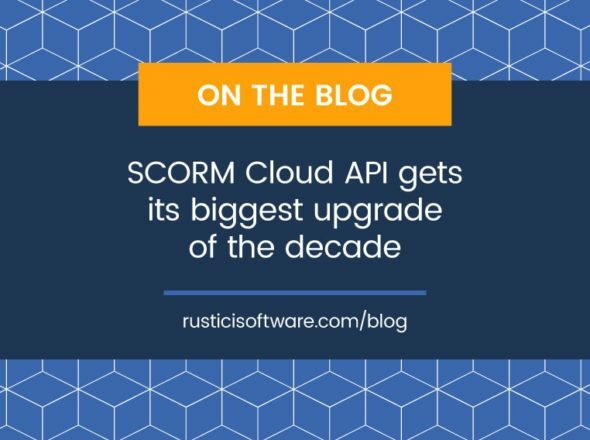 The newest addition to the line up, the SCORM Cloud Drupal integration, is one that we are particularly excited about. The module is the result of a collaborative effort between a driven client, a knowledgeable developer within the Drupal community, and our own SCORM Cloud experts. Much like Cold Stone, Drupal offers endless customization options with over 2,000 modules to pick from, letting you build a site that meets all of your needs. You have probably seen Drupal in action as it runs millions of sites, including my favorite, The Onion. Looking for a way to sell access to your courses hosted on SCORM Cloud? The Ubercart module in Drupal offers shopping cart capabilities that now make this a reality. Want to customize the SCORM Cloud player? You can apply your own style sheet through the Content Creation Kit (CCK). Don’t see what you’re looking for? Reach out to the active Drupal community to develop even more functionality. Since we can’t share our ice cream tradition with you (as much as we’d love to), we can offer more flavors of SCORM Cloud. Don’t see your flavor listed here? Just ask us– the combinations are endless.